Henley Honda | Honda Canada | Honda Produces 30 Millionth Vehicle in North America! Honda Produces 30 Millionth Vehicle in North America! We tell you all the time about how more Canadians than ever are getting themselves into a Honda, and this latest announcement from the company proves just that! Honda marked a major milestone recently, as the 30 millionth automobile rolled off the assembly line. Honda’s eight automotive plants in the United States, Canada and Mexico have been pumping out more Hondas than ever and reached the 30 million mark much quicker than we could have imagined only a few years ago. 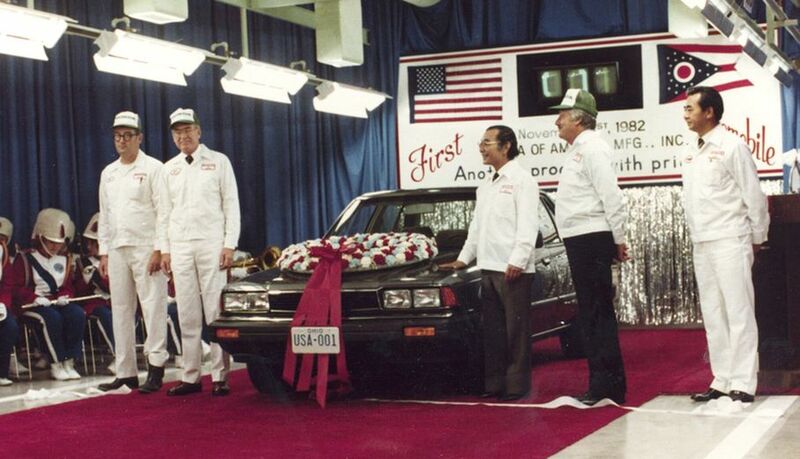 Honda opened it’s first automotive production plant in Marysville, Ohio on November 1, 1982 and has been going strong ever. Honda was also the first Japanese automaker to bring their production to the United States and North America. Aside from the plant in Marysville, the company has also set up shop in East Liberty, Ohio; Lincoln, Ala.; Greensburg, Ind. ; El Salto, Jalisco, Mexico; Celaya, Guanajuato, Mexico and of course the Canadian plant in Alliston, Ontario. This growth also has led to Honda opening a fifth automotive plant in the United States, the Performance Manufacturing Center, in Marysville as well. They will begin production next year. Honda auto production in North America is supported by engine manufacturing operations in Anna, Ohio; Lincoln, Ala.; Alliston, Ontario and Celaya, Mexico and by the production of automatic transmissions in Russell’s Point, Ohio, Tallapoosa, Ga., and Celaya. 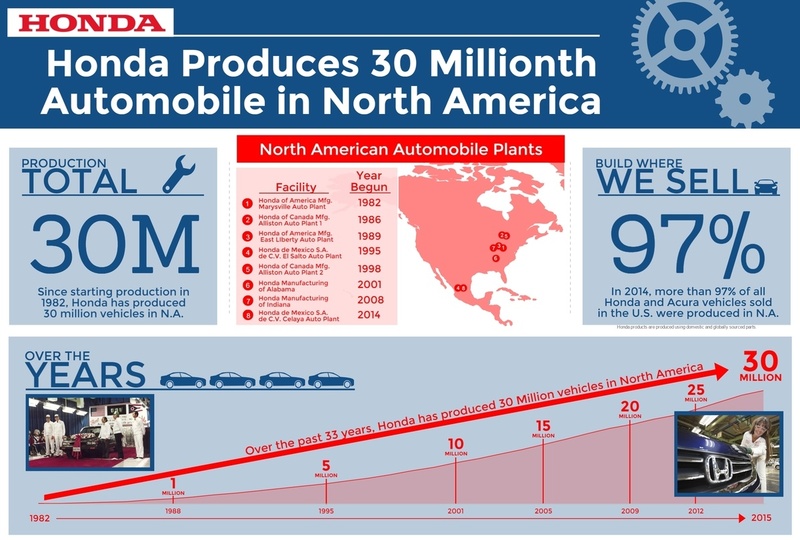 The following infographic gives you a more detailed look at the growth of Honda in North America. Once again, you don’t have to take our word for it! Come and visit us and see for yourself why more and more North Americans are choosing Honda vehicles!